Since 2012, I’ve been volunteering for the Mexican Consulate in Vancouver as their web developer consultant and website administrator. 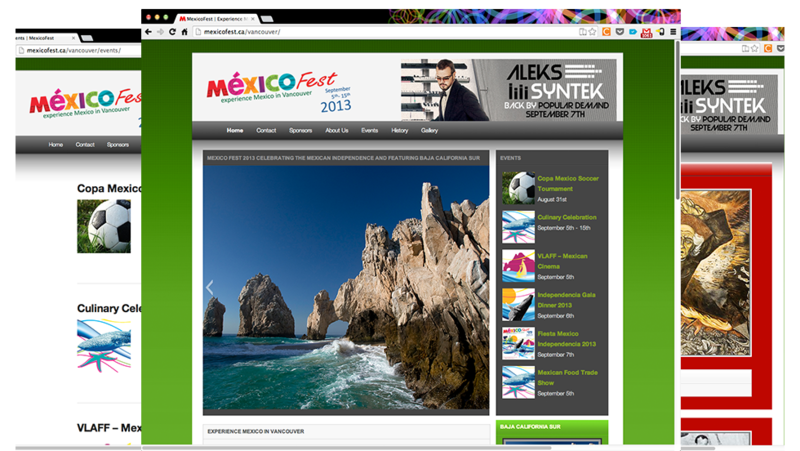 During spring 2013 I moved the website from plain HTML to a more userfriendly CMS like WordPress. Improved usability and efficiency by changing to WordPress. Created editor accounts for the staff of the department of Academic, Cultural and Media Affairs at the Mexican consulate, so they can easily add or edit info without code changes.